Cargill was exceedingly generous to its Muslim workers, and yet still has to pay out $1.5 million. Despite the fact that Cargill was accommodating the vast majority of Muslim daily prayer requests by providing specially created “reflection rooms,” i.e., prayer rooms, nearly 150 Muslim workers walked off the job. Instead of a thank you, they get kicked in the teeth. Accommodation gives way to more demands. This is a unique phenomenon in the American workplace. Christians and Jews and Hindus do not make such outrageous requests. Christians do not walk off the job in the name of Jesus. Christians do not impose their religion on their co-workers. Christians don’t ask for special chapel rooms and the like. These demands at Cargill were a way of imposing Islam on the kuffar. The Muslim workers were demanding special rights that non-Muslims don’t have. Special rights for a special class – that is sharia. Muslims are superior – that’s sharia. And once they get their prayer breaks, they will take their demands to the next level, as they did at Hertz. At Hertz, Muslim workers demanded prayer breaks; Hertz agreed. But Muslims were disappearing during prayer breaks. Hertz responded by asking them only to clock in and out during prayer times. Muslims refused, and Hertz was being sued for religious intolerance. Meanwhile, the Equal Employment Opportunity Commission, or EEOC, has become a battering ram against companies, forcing them to adhere to sharia principles. The overreach of the EEOC is monstrous: One particularly extreme example of its interference was its support of two Muslim truck drivers who were suing the company that dismissed them for refusing to transport alcohol; they were awarded $240,000 for this refusal to do the job for which they had been hired. Read the chapter titled “Mosqueing the Workplace” in my book Stop the Islamization of America to better understand this de facto imposition of sharia in America. It always works the same way: Every accommodation gives way to more demands. 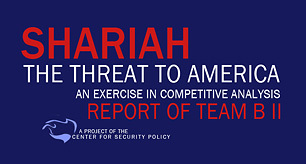 Everywhere American practices conflict with sharia, it is our practices that must give way. Muslims impose their work times, their sharia, on non-Muslim co-workers and punish companies that refuse to submit. Litigation jihad is a huge industry, and American companies are being held hostage by Muslim workers and Hamas-CAIR. It’s time to call a halt, and to say that there will be no more accommodation. A settlement has been reached between Cargill Meat Solutions and fired Somali-American Muslim workers in relation to a wrongful termination case. Charges of discrimination were being investigated by the Denver Field Office of the U.S. Equal Employment Opportunity Commission (EEOC) in relation to 138 Somali-American Muslim employees being fired from Cargill’s Fort Morgan, Colo., beef processing plant. It is alleged that the employees were harassed and denied requests for prayer breaks. 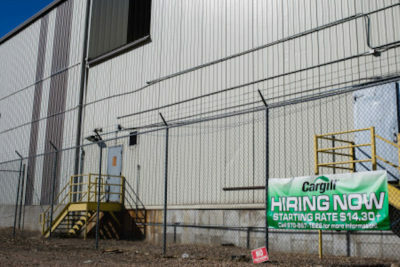 Cargill does not accept the findings by EEOC, however the company opted to settle out of court the former packing plant staffers to avoid an extended legal process. The settlement was announced by Cargill, along with Rathod Mohamedbhai LLC, and the Council on American-Islamic Relations (CAIR) who were representing the former employees. Under the settlement Cargill will pay the 138 former staffers $1.5 million, inclusive of attorneys’ fees and costs. Cargill also plans to reaffirm its commitment to allowing Muslim workers to take short breaks for prayers. “Providing our employees with religious accommodation is an important part of engaging and supporting our employees, and our policy has remained consistent for more than 10 years,” said Brian Sikes, president of Cargill Meat Solutions. 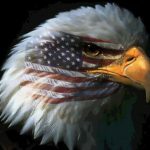 The confirmation of Cargill to continue recognizing employee rights under Title VII to be free from discrimination based on their race, national origin, retaliation, and their right to be accommodated for their sincerely held religious beliefs was welcomed by EEOC…. In December 2015, nearly 200 workers at the Cargill packing plant in Fort Morgan walked off the job in protest of having prayer breaks. Following the protest more than 150 Muslim workers were reported to be fired at the plant. Cargill later offered to rehire some of the employees after updating its termination policy. At the time of the policy update Cargill Beef President John Keating said the company’s action was reasonable. “The terminations at Fort Morgan appear to be based on a misunderstanding, or misinformation, about a perceived change in our religious accommodation policy that did not occur. Allegations that we were not going to allow prayer any longer are false. The result is that nearly 150 people found themselves in violation of our attendance policy and we had no alternative to termination. This change will provide for an orderly and expeditious reapplication process for people seeking an opportunity to potentially fill vacant positions at our beef plants,” said Keating in January 2016. Next articleGoodbye letter to my dear friend, Ari Fuld!